In addition, Kelvin Han Yee was being considered for the role of Data. Yee has had a storied career in Hollywood, and has appeared in many popular TV shows and films. 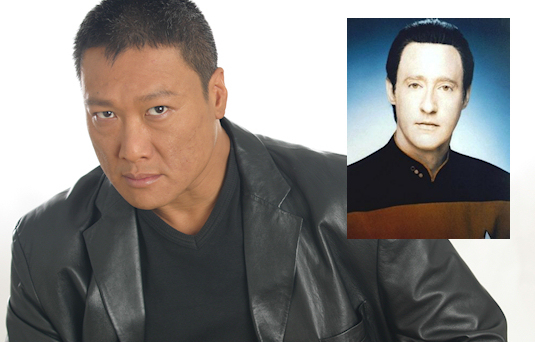 He would definitely have been a fascinating Data, particularly since the character’s struggle to establish his humanity when the world views him as an inscrutable, emotionless talking computer has already spoken to so many Asian Americans. Most interesting about this alternate universe cast is how these two characters enjoy a sexual tension in the show’s first season, sparked by their brain-washed hook-up in the season’s second episode. Might not the first season have resulted in a compelling exploration of Asian American gender and sexual interrelationships had Chao and Yee played Yar and Data respectively? 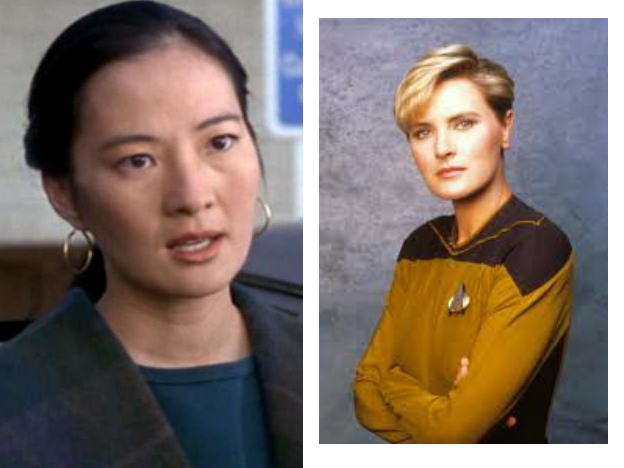 How might an Asian American Yar’s character have evolved — and in so doing pushed the envelope of how Asian American women are portrayed on television — had she not been killed off in the first season (a result of Denise Crosby choosing to leave the show)? I can’t be the only one yearning for a ST:TNG that could’ve been here, right?